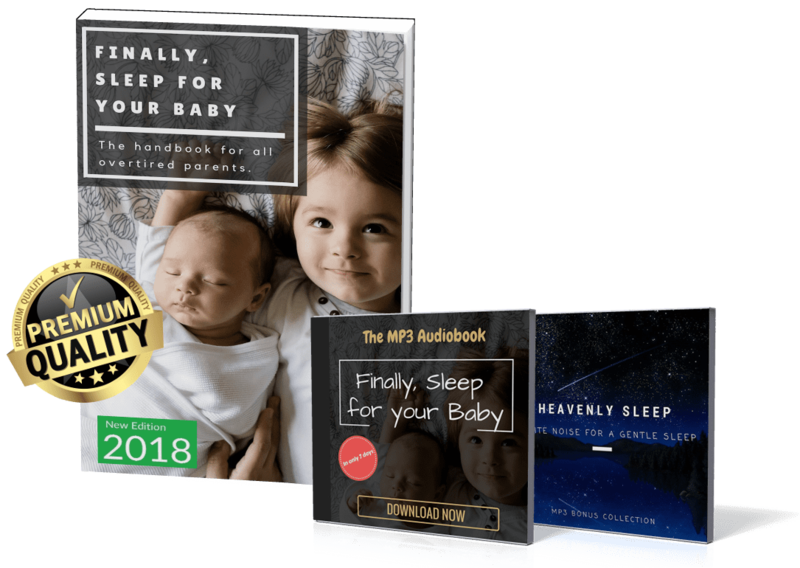 Sleep for your Baby step-by-step guide	sleep-for-baby.com – The definite step-by-step guide showing you how you can calm down your little ones, bring them to fall asleep quickly, and have them sleep through the night. * Disclaimer: Of course I can't guarantee that you will have exactly the same success in the same time as I or the many other parents had since every child is unique. Unfortunately, most information is dangerously outdated and usually reduces your baby's chances of a calm and deep sleep. The absolute worst you can do is to begin with a sleep training for your baby without a proven and sophisticated plan (I'm sorry to say, but that's how most parents still do it). I now want to share a revolutionary method with you that puts even the most stubborn child consistently to sleep every night. The best thing about it is that you and your little one will be done with the training in no time! My name is Susanne, and I would describe myself as an ordinary woman and mother. I'm originally from Germany and moved to Portland several years ago, so please excuse any grammatical errors ;). I also have 2 kids who monkey around all day but who I of course love very, very much! Our little girl simply never fell asleep! 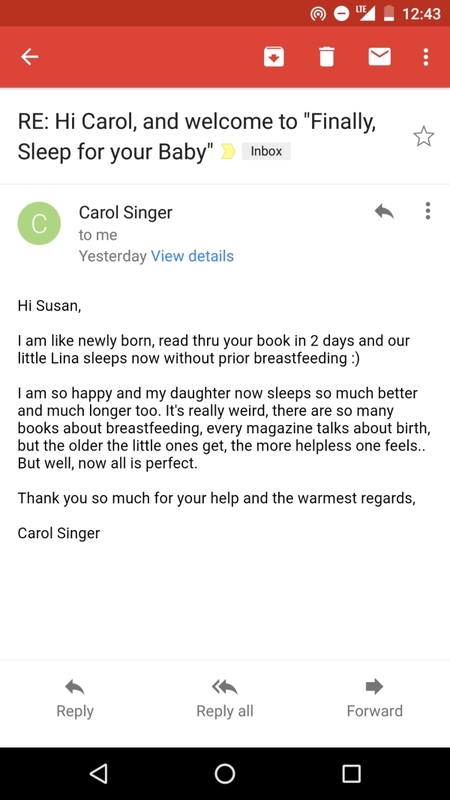 I want to share with you here on my website my very own personal story and how I came across an effective system for a baby's sleep nearly be sheer accident (and which actually works!). Sometimes life is strange: Instead of having 9 kids of my own, I nowadays take care of 73 children at a day care center I founded 4 years ago. 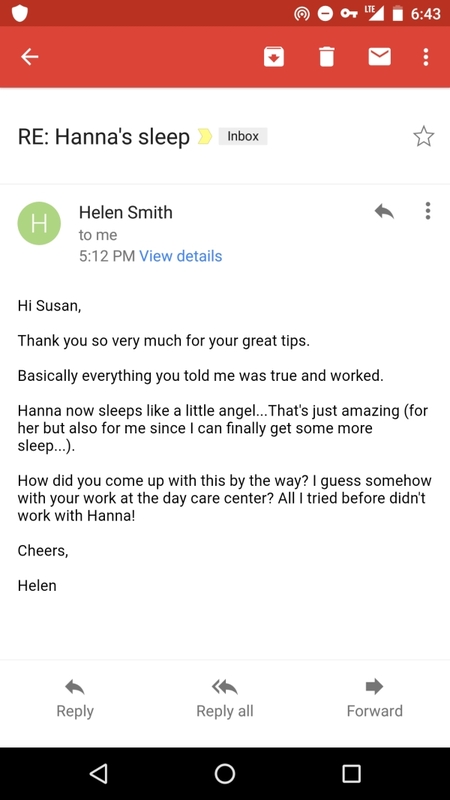 That's why I can credibly tell you that - through my own two kids and the children from the day care center - I am confronted with the topic of baby's sleep almost every week. However, I only realized the significance of the problem once I experienced it first-hand with my own daughter Martina. Sometimes it took several hours until Martina finally fell asleep! Her eyes often were swollen and red from all the crying - it broke my heart every time I saw my daughter in this terrible condition! That was the point when I realized that now is the time that I simply MUST find a solution for this problem. In hindsight, I have to admit that I clearly regret not having started researching this topic earlier since I was asked so often for advice by other parents. I went through tons of specialized literature both national and international. I selected all the techniques I considered most promising and wrote them down in my "baby's sleep notebook", which grew daily by several pages. The majority of the sleeping methods either did not work at all, or only for a very short time. Who was supposed to make sense out of all of this? 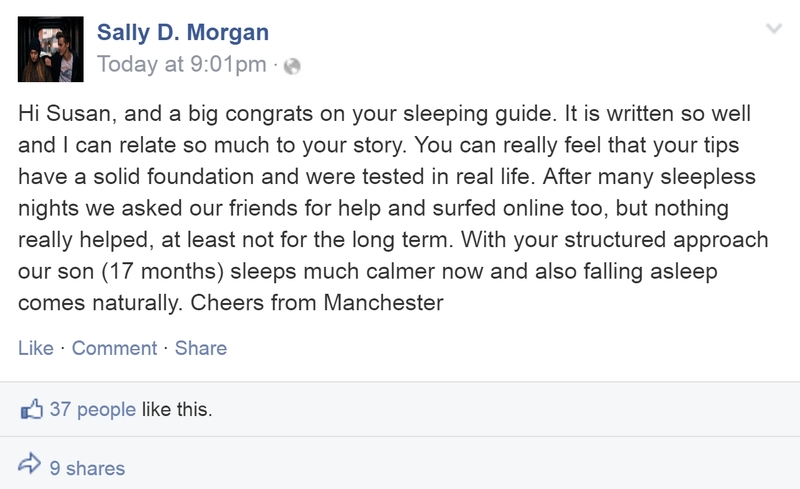 An old college friend of his knew this sleeping expert personally. And this specialist just recently published several new studies - with in some cases extraordinary results. After a few emails and phone calls we arranged an appointment for a consultation and I showed him all my notes I collected so far - and of course asked a lot of questions. Eventually, we talked for far more than the initially arranged 3 hours and I felt like having an epiphany every 5 minutes. He shared information and other practical advice with me which I have never encountered in any book or other sources (including the internet) before. At the end of the consultation my notebook had grown again, this time by a lot of new pages, and I couldn't wait to test my new knowledge in the real world! Once I was at home, I quickly started with the new "sleeping protocol". I knew of course that I shouldn't expect any results overnight, however I had already noticed in the same night that Martina was much calmer than before! But the biggest surprise was: Within days, Martina could fall asleep completely independently! I was completely overwhelmed by pure joy and also felt a great deal of relief! She finally could fall asleep without any problems and also only rarely woke up during the night. Mabye this all happened by pure chance? Thankfully, I had the ideal preconditions to test my new method with more children than just my own Martina...and that's when I informed the parents of my day care center. I summarized all my notes, processes and methods in an easy-to-follow guide and handed it to several of the parents of whom I knew that they had to deal with the same problems I had every day. 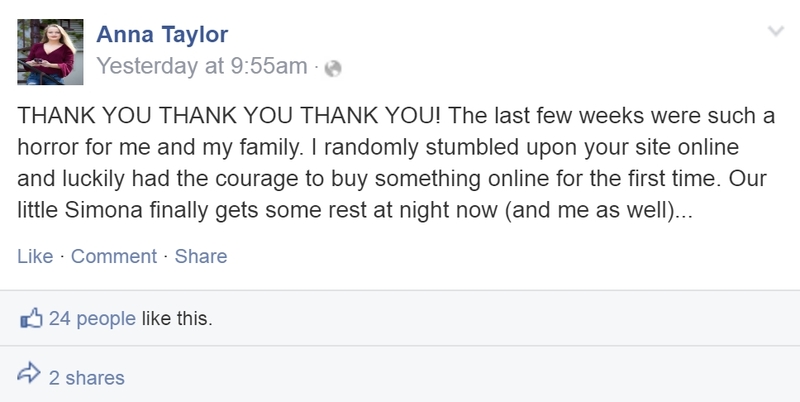 Nearly all of the parents who received my system reported a similar success to the one I had with Martina! Disclaimer: Results may vary from baby to baby since every child is different. 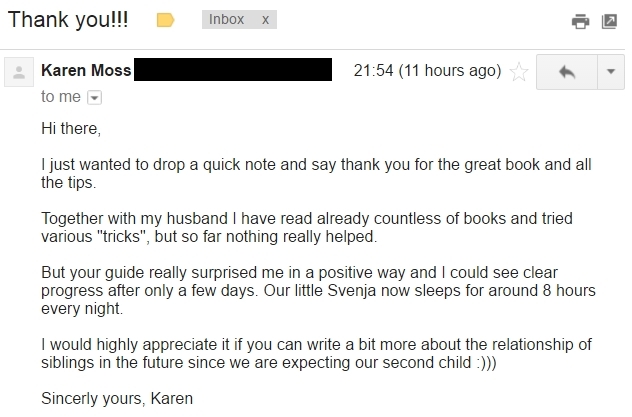 When I told my husband of the many thanks and messages I received, he told me that I had an obligation to share my method with even more parents. Fortunately, we finally had the idea to share everything with other parents in a digital format via a personal website. You surely have realized by now: You are currently on that website! I summarized all my notes, information, daily plans and techniques into a foolproof step-by-step instruction. And all this in a digital format which you can access via your smartphone, tablet or computer. On top of that, I also recorded an audiobook for you to listen to whenever you feel like it (for example in the car or when out for a run)! 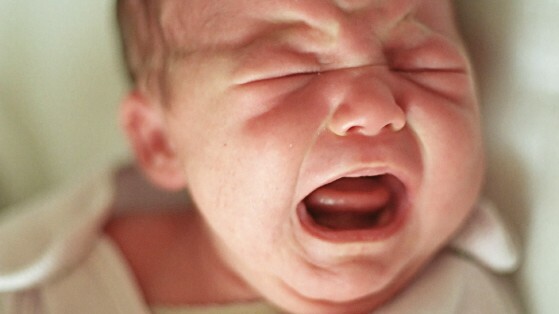 This is of course not the old (but well-known) "just let the baby cry" method! White Noise - A very particular audio frequency which simulates the sounds of the maternal body and which will create an atmosphere of "heavenly sleep" for your baby. Try it for yourself! Inhaling & exhaling, blood flow, or vibrations of the vocal cords for example. The constant and calming White Noise can help your child to sleep through the entire night since it blocks out erratic background noises such as conversations in adjacent rooms, passing cars, slamming doors, etc. That's how your child won't get disturbed anymore during the night! In addition, you'll also get access to regular live webinars, chats and personal e-mail consultations about the healthy sleep of your baby. Okay, but what's the price? I really wish I could offer you my digital program for free, however my months-long research and running this website unfortunately cost quite a bit of money and time. In addition, the consultation fees for the sleeping expert easily exceeded $1,300. Because of this I want you to offer my digital system at an extremely fair price point to cover my own expenses. In the beginning, I offered my complete method for an all-in price of $129.99 (and there were many families telling me that it was worth every single penny). However, I realized over time that parents with a limited budget were scared away by the price which of course was never my intention. Yes, you read that right! For a limited time only in April you can get all my knowledge for only $27. You will receive access to my complete sleeping system instantaneously after your payment. That's how you can start right away (even if it's in the middle of the night) and read it on your computer, smartphone or tablet (or listen to the audiobook on your iPod). Take your time and think about it since you can simply test my system without any risk. In the unlikely event of you not being happy with the results of my sleeping system, simply drop me an email and you will get your money back - no questions asked! Does your sleeping system really work for every child? So far we actually had a really impressive success rate. Admittedly, there were some cases where it took a bit longer for noticeable improvements (around 2 weeks), but an instance in which the system did not work at all is unknown to me at this time. And just to be clear: In the unlikely event of you not having the desired results with my sleeping system, you can make use of the unconditional 100% Money back guarantee. What's the best age for your sleeping program? I generally recommend my sleeping program to all parents who have children aged between 0 and 36 months. For babies younger than 3 months the progress usually is a bit slower but you can use this time as an effective preparation period for later on. How long will it take until my child finally falls asleep on its own? 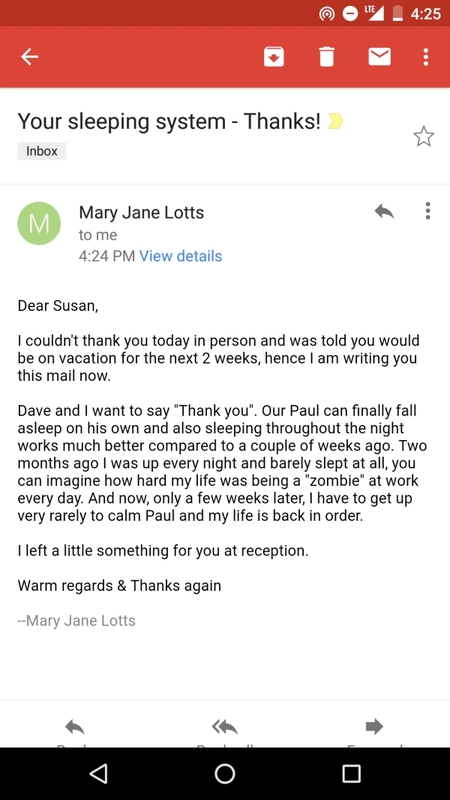 The vast majority of the families working with me see first big improvements between 3 and 12 days after having started with the sleeping system. Making a general statement however is fairly difficult since of course every child is unique. In case you do not make any progress, you can send me an email at any time! What's the difference between your system and all the other guides and books? During my research I read every book I could find on the topic of "baby sleep" and evaluated the contents and practical value of them. The biggest weaknesses were in almost all cases the lack of flexibility of the various tips and strategies (since not every strategy works for every child!) as well as the outdated nature of the content. Most of the books I read (plus countless tips on the internet) were simply heavily outdated and couldn't be effectively applied in today's world. How exactly does the Money back guarantee work? 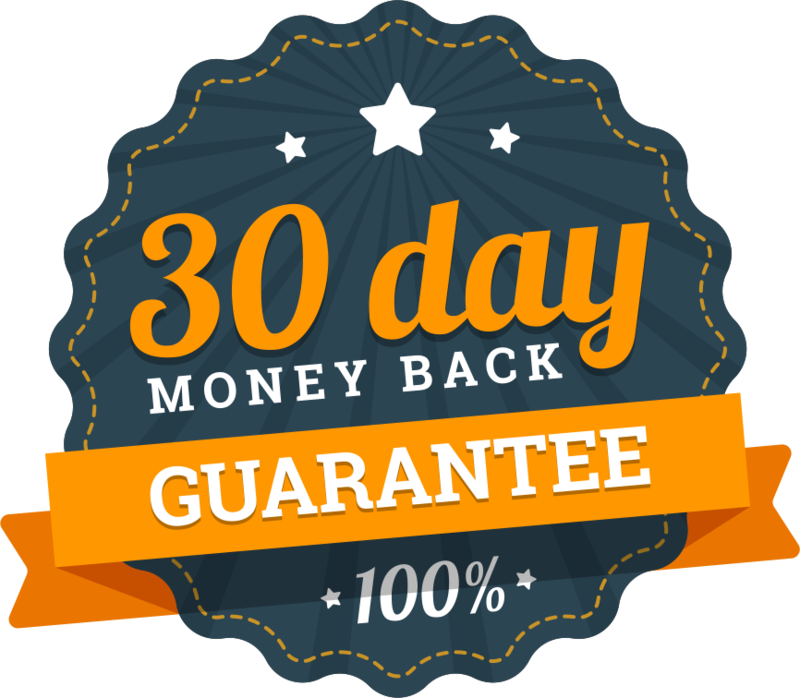 As described above, you can make use of the 100% full Money back guarantee within 30 days of your purchase in case you are unhappy with my sleeping system or didn't see the desired results. No questions asked!